Interesting. My husband found eBay when he was home recovering from a major surgery and evidently needed a new hobby. 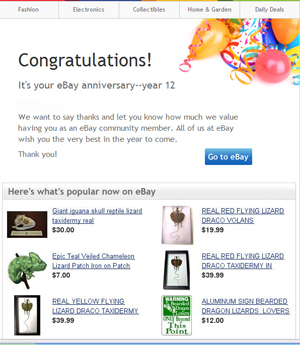 He confirmed that he gets anniversary notices from eBay too. At least we give our rising Sustainers a rosebud at the annual meeting, huh? Thanks for the food for thought.